Virginia-based Aurora Flight Sciences is looking to continue its development in the world of unmanned systems by taking its Centaur optionally piloted aircraft system to Lonesome Pine Airport in Wise County, Virginia, starting next year. The Centaur will be responsible for several key initiatives once it begins flying in Wise County. Chief among them, it will collect a variety of data on the state of Virginia, including predicting and detecting forest fires, performing multistate inspections of roads and railroads, and the mapping of different surfaces. The Centaur will also support Mountain Empire Community College in its creation of the Aerial Drone Geospatial Mapping and Surveyors course, the first course of its kind, according to a press release. The expansion of operations to another part of Virginia is a big move for a state trying to become one of the leaders in the unmanned systems industry. “Aurora is poised to ensure Virginia takes the lead in the introduction of large unmanned aerial systems operating in the National Airspace System, and Wise County would be a great place to expand our capabilities and create jobs,” says Jeff Harlan, Centaur program director at Aurora. 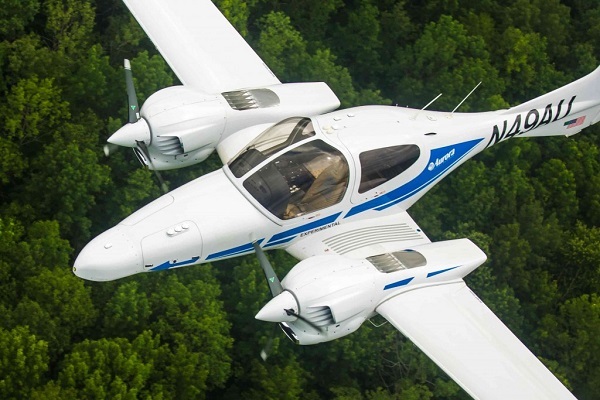 By adding autonomous technology to the passenger seat of a DA-42 aircraft, the Centaur can be flown autonomously with a safety pilot on board. In its autonomous mode, it can fly anywhere from 14-20 hours per flight performing a plethora of missions. The UAS can also be flown by a trained pilot.